The project included an extensive renovation of the existing library, which was designed by the award-winning firm Mitchell Guirgola in the late 1970s. 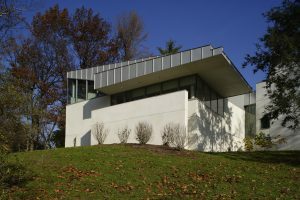 The goal of project was to do a minimally invasive renovation of the existing structure, and to create a new addition that is sympathetic to the original iconic design. The addition works with the sweep of the original form, and provides new meeting rooms, reading rooms and stacks. 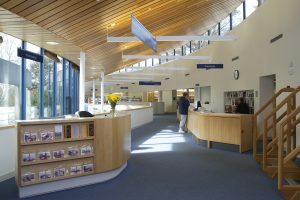 While at Bohlin Cywinski Jackson, Richard Miller served as Project Manager for the renovation and addition to the existing Tredyffrin Public Library.